A local produce fair, workshops and choir concerts take place in the 16th. 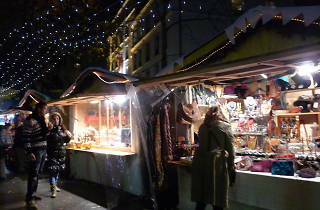 First you have the beautifully lit market, with its spread of affordable local products (prêt-à-porter fashion, jewellery, ornaments), nativity figurines and the sweet aroma of churros. Then you have the decorations adorning the cute wooden roofs of the metropolitan village of Auteuil... And finally, of course, the rows of neatly stacked Christmas trees waiting for a home. 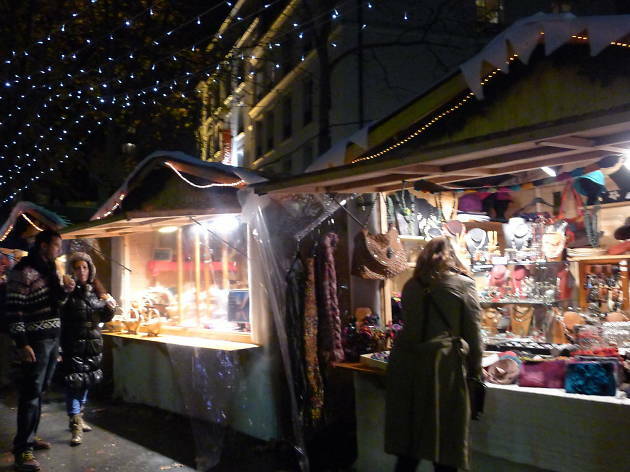 It may not be big, but the Féeries d’Auteuil has everything you look for in a Christmas market, and a few eccentric features besides: choir concerts, competitions and workshops for schoolkids, and an exhibition of nativity dioramas made from all kinds of materials. Furniture and bric-a-brac sales, too, will be held across the Christmas period. In short, there’s everything you need to fill those long dark days of Advent. All profits from this tenth edition of the fair will be donated to the Jeunes Apprentis d'Auteuil, a charity that helps out young people in the area.